Switzerland tops a new index of countries that produce, attract and retain the best and brightest workers. Which country is the best at developing, attracting and retaining top talent? Switzerland comes out on top, according to the Global Talent Competitiveness Index, launched Tuesday by European business school Insead. The new index rates 103 countries on 48 factors including education, government policy and quality of life. The U.S. trailed in ninth place. First-placed Switzerland excelled in all categories, and stood out for its long-standing commitment to high-quality education, according to the report. Singapore came second. The authors noted that the city-state was highly competitive because of a clear strategy to grow and attract the best and brightest employees. The index was created, in part, to help global companies identify which countries are most effective in building a talented workforce. "There is a widespread mismatch between what companies need in terms of skills and what local labor markets can offer," said Insead dean Ilian Mihov in a statement. "Obviously, these issues require a collaborative effort among government, business, organized labor and global business schools." The Insead ranking was dominated by European countries, including Denmark, Sweden, Luxembourg, the Netherlands, the United Kingdom and Finland. The U.S. ranking reflected, in part, its long history of immigration and success in attracting top international talent, the report stated. But Insead professor Paul Evans said the U.S. risked undermining that advantage because of a tougher stance on immigration since 9/11. Evans also pointed out that the U.S. scores relatively poorly for basic education and social mobility. A number of the top-ranked countries also boast some of the shortest work weeks in the world and the most generous benefits and perks for working moms and dads. 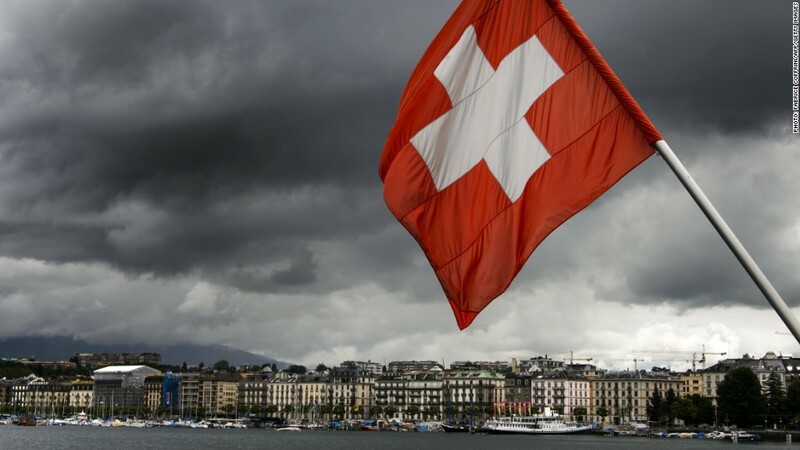 In May, Switzerland was ranked the second most competitive country in the world after the U.S., according to the IMD World Competitiveness Center. Switzerland is known for policy stability, predictability and budgetary discipline. The Insead index was launched in partnership with the Human Capital Leadership Institute of Singapore and HR consulting firm Adecco. It was based on data from a range of international sources such as the World Bank, the World Intellectual Property Organization and UNESCO, and the ranking model was audited by the European Commission's Joint Research Center.